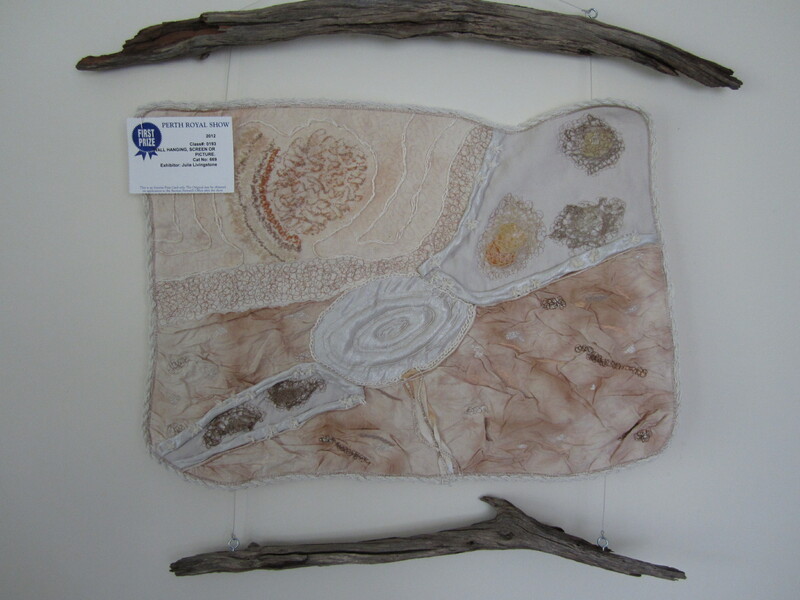 I finally got around yesterday to taking some photos of the wallhanging I entered in the Show, and here they are. One of the ways I created texture in the piece was to attach shells to it, some which I had collected many years ago on the beach, I think in Rockingham or Kwinana. I made small pieces of machine embroidered ‘lace’ using water soluble stabiliser, stitching over it randomly in roughly circular motion. 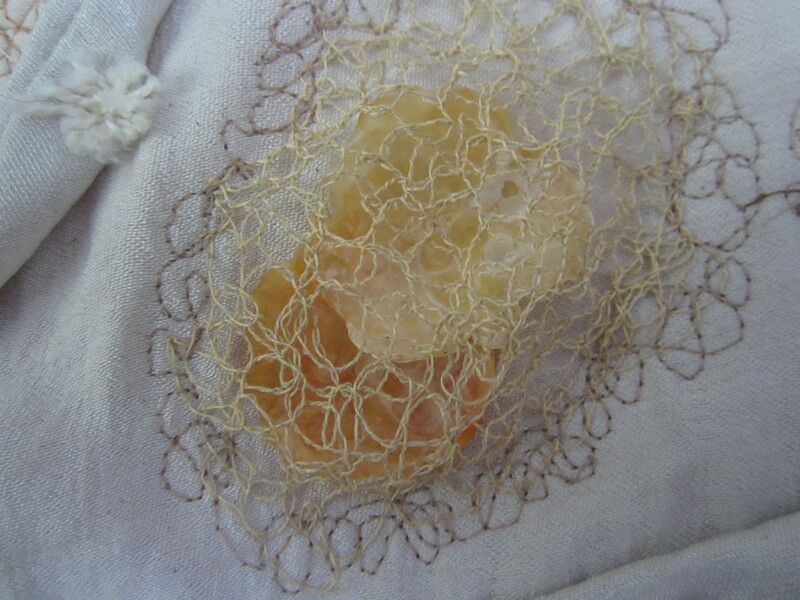 After washing out the stabiliser and drying the pieces, I laid them over the shells on top of the background fabric, and stitched around the edges, using the same kind of random circular motion, so that it looks as if the lace is growing out of the fabric. I was aiming to imitate the way shells and stones sometimes get embedded in rock. 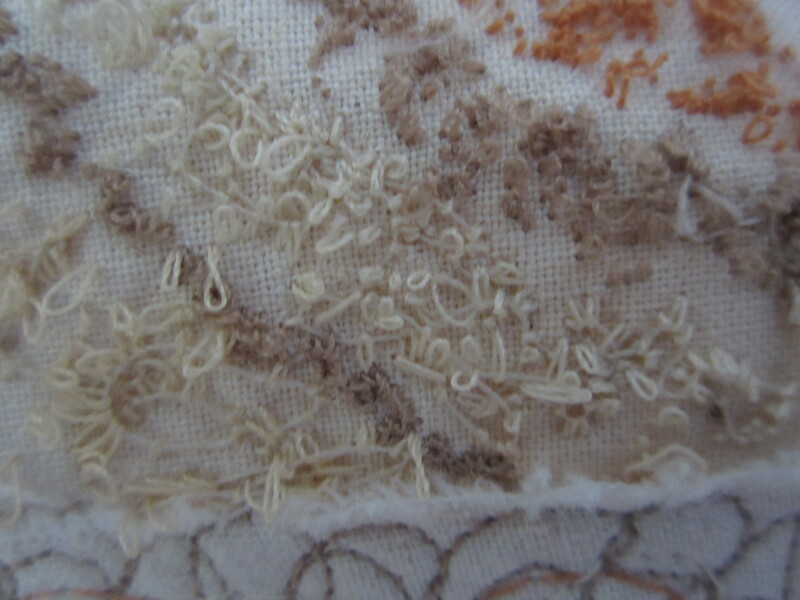 I made this texture by stitching from the wrong side of the fabric, with the top tension really loose. The top thread gets drawn to the underside in big loops. I then ironed on some fusible interfacing on the wrong side to hold the threads in place, and pulled out the bobbin thread, leaving the loops behind. I made some crochet chain out of perle cotton, and hand stitched it down – machine stitching flattened it too much. 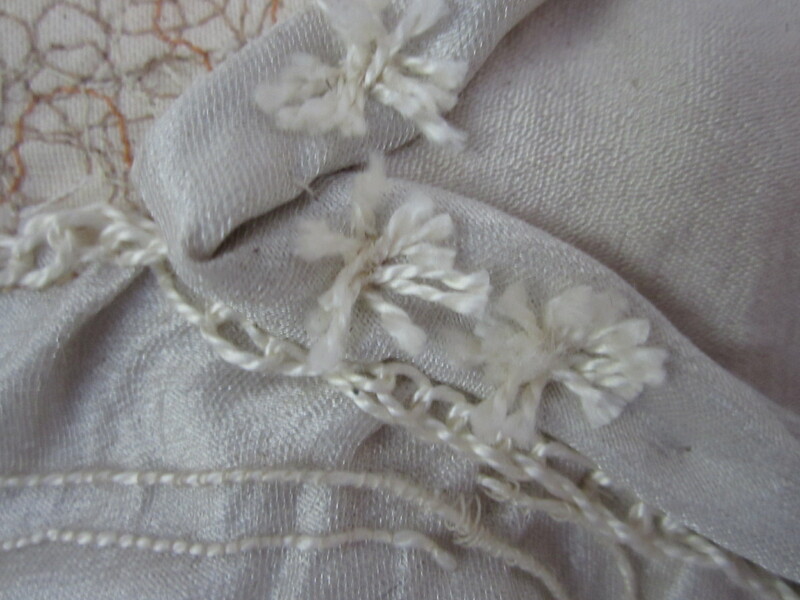 The little bunches of threads that look a bit like flowers I made by looping the thread and stitching over it, then cutting open the loops. A wooden skewer is really useful for holding threads and so on in place while you stitch them down. It’s smaller than fingers, and doesn’t hurt so much if the needle goes through it! I’m pretty pleased with the way the piece came out, and it’s certainly inspired me to have another go. I already have a couple of ideas in mind, in the meantime I’m going to turn my attention to making some skirts to wear for work this summer.